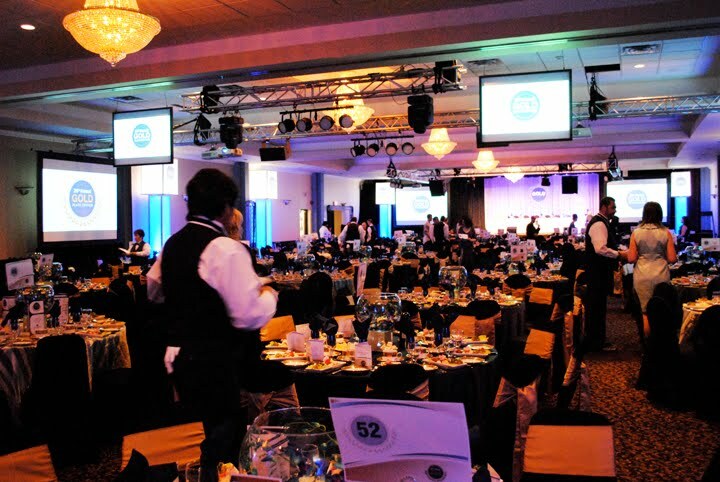 After months of careful and dedicated event planning, Marketing Breakthroughs produced the 26th Annual Gold Plate Dinner on Tuesday June 14, 2011. Marketing Breakthroughs’ Steve Klein has been the volunteer Executive Producer of this unique Ottawa event since 2008, providing event marketing design expertise. 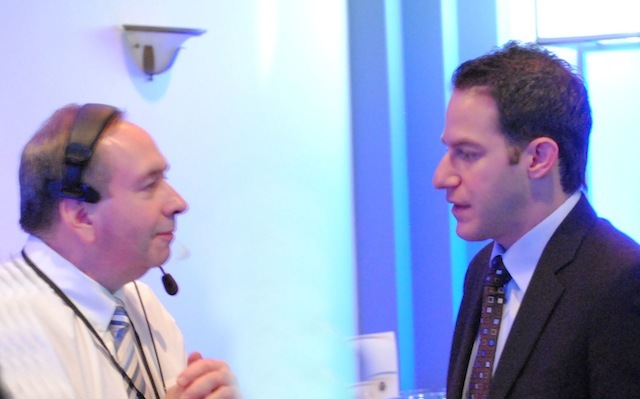 This year proved to be one of the most successful years ever with nearly 600 attendees. Now in its 26th year, the Gold Plate Dinner is a gala fundraiser with proceeds going to the Hellenic Community of Ottawa and the University of Ottawa Heart Institute. The Gold Plate Dinner is a unique and exciting gala on Ottawa’s fundraising dinner landscape, due in part to the traditionally unconventional “elimination draw” where, one-by-one, every attendee is taken out of the running to win a brand new 2011 Mercedes-Benz C250, valued at over $40,000 from Star Motors of Ottawa. In addition to this phenomenal prize, there were live auction items and additional prizes. Marketing Breakthroughs managed all aspects of this event planning, including graphic design of menus and table cards, video production, live auction coordination, website copywriting and design, staging, audio/visual production, decor, food and beverage planning, production of the day itself, and countless hours of meetings and planning to ensure that the event ran very smoothly. Before the wonderful dinner, guests feasted on hors d’oeuvres under the big top – a 5,900 square foot tent erected at the front door of the Hellenic Meeting and Reception Centre. After guests took their seats, they enjoyed a presentation of the making of the Gold Plate Dinner and feasted on succulent duck salad, anti pasto, orange sorbet, a Frenched 14 oz rib steak with pearl onion au jus, sweet salty roasted potato, micro carrots, asparagus, and sweet pepper bundles accompanied with a butter crusted lobster tail. And for desert? A delicious trio of savory delights: deep fried cheesecake, tapioca pudding in a chocolate cup, and a delicious fruit tart. Hosted by celebrity Emcee, Majic 100’s Stuntman Stu, the dinner and live auction raised more than $130,000 for the Hellenic Community and the University of Ottawa Heart Institute. Attendees ate fantastic food, bid on trips to Europe and the Napa Valley, and had a wonderful evening. After this year’s event planning, Erin Giakoumelos said the following about Marketing Breakthroughs’ successful event production. Thank you for taking care of the endless details of this event. It is a great comfort to have such a caring team to work with, and I am so grateful for your interest, dedication and professionalism that contributed to the success of the Gold Plate Event. MB would like to issue a special thanks to the Gold Plate Dinner organizing committee and partners: Dean Karakasis, Erin Giakoumelos, the Hellenic Meeting and Reception Centre, Gold Plate Chair, District Realty‘s Steve Ramphos, Doris Ramphos, Duocom, Event Design, and Miller McConnell signs. 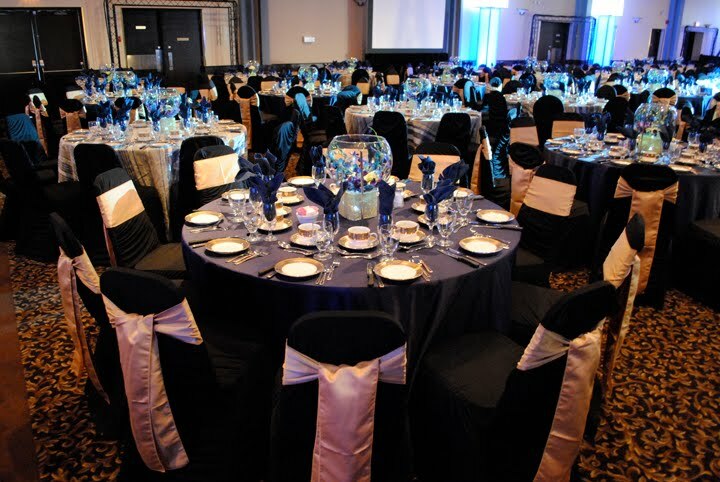 For more on our Ottawa Event Design, Event Planning and Event Production, be sure to contact Marketing Breakthroughs.